Is a 180 ft per roll or all 6 rolls = 180 ft ? 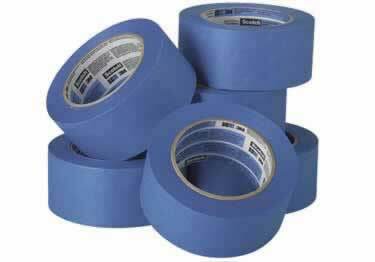 Surface Protection Blue Painters Tape stays on without leaving residue when removed for up to 14 days. Great for protecting door hardware, light fixtures, baseboards, glass, etc. This is the good quality blue painters tape, we use it for masking off floor protection as we get ready to finish a project. Much cheaper to buy in bulk and even better when you have a coupon code! I have never used worst tape than this one, and trust me I used miles of tape already. It tears apart very easily. It's so difficult to make 10 ft line without rupturing the tape. Re-usable, Ram Board has been the number one choice for temporary floor&wall protection in the construction industry. Creates up to a 40 mil protective latex coating for hard to cover surfaces like showers, tubs, & whirlpools.